For those who were tuned to 2014 beijing motor Show, for them the Jeep Concepts are nothing new to talk about. 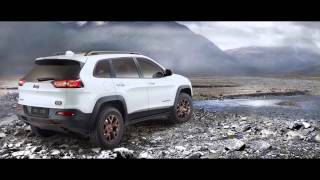 Presenting its elegant and glamorous concepts Jeep has made another step ahead by sharing the Jeep Cherokee Urbane Concept 2014. Equipped with remarkable style and features (power being certain) this new unveil will undoubtedly take the company’s image to a new level. Let us have a look at the review of Jeep Cherokee Urbane Concept 2014 to learn more. While creating the Jeep Cherokee Urbane Concept 2014, company took utmost care of bringing new gifts for its buyers. 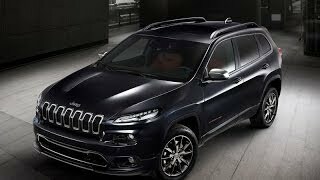 In regards to same each and every inclusion making the details of Jeep Cherokee Urbane Concept 2014, has been amalgamated to deliver perfection and class. 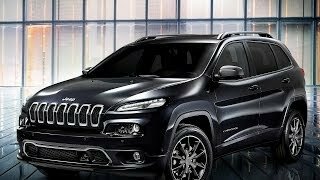 Starting with the exterior of Jeep Cherokee Urbane Concept 2014 comes drenched in steel metallic paint featuring black accents that add to bit of ‘luxurious aggression’ to the model. In all with its new exterior look, the concept looks really attractive. 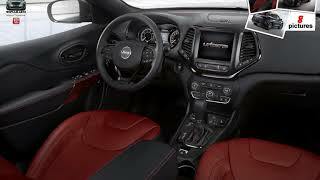 Marching towards the interior of Jeep Cherokee Urbane Concept 2014 you’ll notice dark red Nappa leather on seats, getting contrast through red accent stitching. Another noticeable inclusion is the Chinese calligraphy design being used in brush stroke patterns over the door appliqué. Accent of Chinese tradition further mark its presence over the floor mats and thus making the entire interior of Jeep Cherokee Urbane Concept 2014 look serene and luxurious. 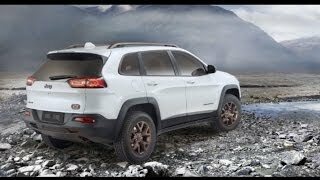 Rather than playing around and guessing what we might see in Jeep Cherokee Urbane Concept 2014 I would here directly talk about the facts that have been shared. Beneath the hood of Concept lays two powertrain options; 3.2 liter V6 Pentastar and 2.4 Liter MultiAir. Both these Petrol engines come paired to nine-speed automatic transmission. Apart from these nothing has been shared by the company and being true-to-task, all I would say is let’s wait and watch till company unveils the details.